Sorry for the long delay in communication! 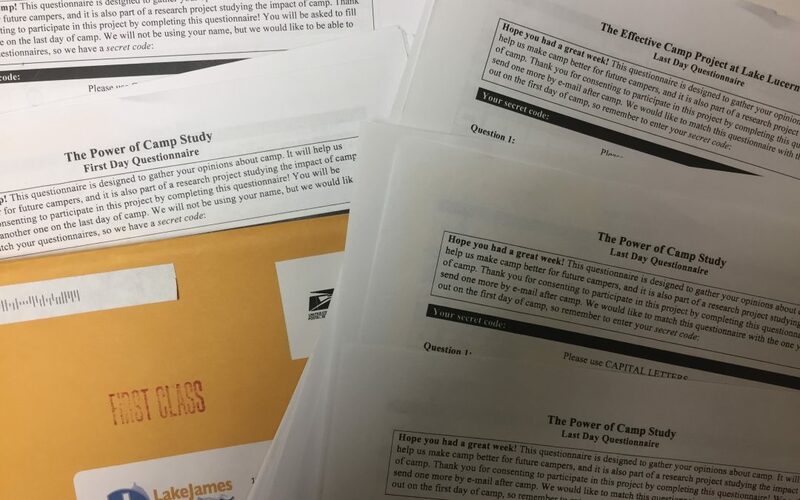 We have been immersed in data from all the camps who participated in various studies with us in 2018, including 10 new camps in the Effective Camp Project and 9 in its related study, the Power of Camp Study. It has been a long several months of number crunching and report preparation, but we are finally beginning to emerge. The great news is that there is a ton of new things to share! We now have data from more than 5,000 campers and 1,400 parents from 30 camps across North America! New themes are emerging, but the core findings have been confirmed over and over again at incredibly diverse camps: Christian camp experiences have positive and lasting impacts that extend well beyond the time at camp, affecting devotional practices, ongoing church engagement, spiritual well-being, and self-confidence. These impacts are clear and recognizable when 5 fundamental characteristics of the camp model are in place: relational, safe space, unplugged from home, participatory, and faith-centered. In the coming weeks, we will be posting a series of updated findings from the research on Christian camping. Make sure you are subscribed to the blog so that you do not miss these new findings. Stay tuned for the updates. There is much to share!